I'm really blooming excited about my latest Limited Edition Burger Tshirt. Following the successful sell-out of the 'Exploded Burger' Tee, I've worked with a very talented designer to come up with some fantastic Burger Maths designs, the first of which is available now. 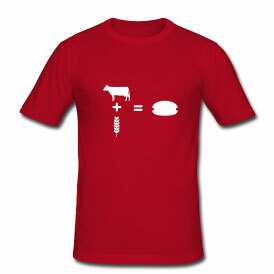 Look out for more in the Burger Maths range, coming soon! This is a short story about a little burger that punches well above its weight (literally). 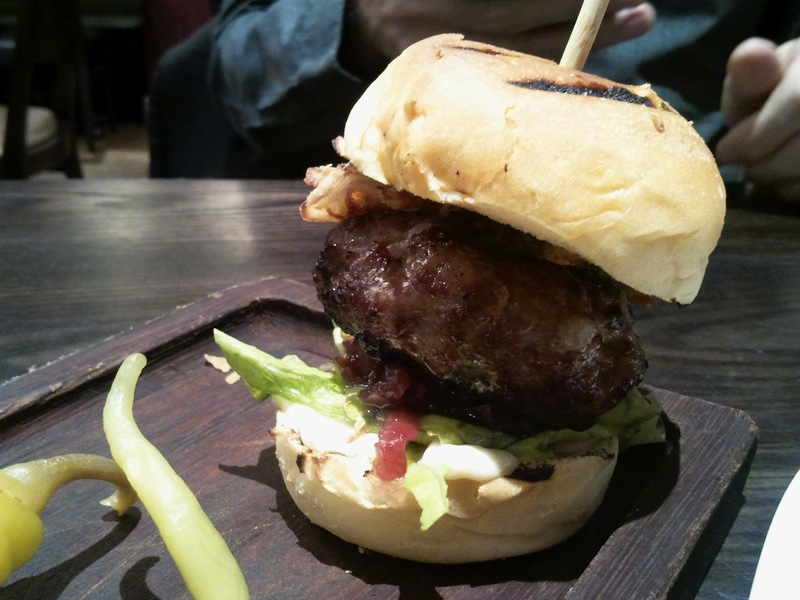 The mini Iberico pork and foie gras burger from the Opera Tavern. The Opera Tavern is a tapas style restaurant set in the heart of theatreland on Catherine Street, Covent Garden. From the outside it looks like a pub, inside, not so much. Dark wood tables and gleaming glass and silverware are elegant and understated. It's a nice place to eat. I'm a bad burger blogger. I don't mean because of the all the typos, the dead-end ramblings, or the shameless self-promotion of my burger print tees (check them out, they're cool). I mean because it's taken me so long to get to Honest Burgers. For me, Honest has been like Captain Ahab's white whale, except that I didn't lose a leg to Tom @honestburgers, the heavens have merely conspired against me and my schedule to be available for Honest's Wednesday-Sunday opening hours for the last four months. Anyway, I have now been, and so here is my honest review.